Seeking a vibrant location for your next meeting, retreat or celebration? With state-of-the-art audio/visual equipment provided at no additional cost and a variety of exceptional spaces for corporate events of any size, Phipps Conservatory and Botanical Gardens provides a beautiful environment where inspiration can flourish. Phipps’ events team will handle the details from start-to-finish, with full catering services available, to ensure an inspiring, successful company event tailored to your needs. To learn more about planning your special event at Phipps or to schedule a tour, contact the Phipps events team at eventsales@phipps.conservatory.org and 412/315-0685. Have a question? 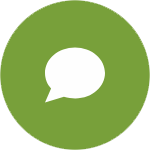 Use the chat icon in the corner of your screen to start a conversation with one of our experts! Have a question? Use the button at the bottom your screen to start a text conversation with one of our experts! See a gallery of photos from a variety of special event spaces at Phipps. Find more details on our pricing and policies for your upcoming special event.